Welcome to Pillar To Post. As part of your community, we are committed to providing our local home buyers, sellers, and real estate professionals with a home inspection service that brings unmatched quality, integrity, efficiency, and professionalism to the home buying process. Purchasing a home is one of the most significant decisions and biggest investments that you will ever make. 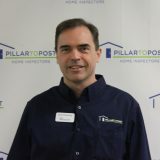 A Pillar To Post home inspection will give you a clear, comprehensive, and unbiased evaluation of the home’s condition, and will give you peace of mind and the ability to make your purchasing decision with confidence. We understand that our customers trust us to inform and educate them about what we see and what we find, and this is a trust that we hold in the highest regard. Our inspectors are licensed, highly trained professionals who are experienced in inspecting all types of homes in Hillsborough County. We have performed over 1,400 inspections in the Tampa Bay region. We are easy to do business with. We can be easily reached by phone and e-mail, and you can also request an inspection on our website. We provide fast turnaround times to enable a timely closing on the home sale. We even have availability to do Saturday inspections when needed. We offer 3 different home inspection packages (Plus, Premium, and Prestige) to fit your individual needs and budget. We also perform wind mitigation and 4-point inspections, and can provide WDO (wood-destroying organism) inspections through a partner company. We strive to exceed the expectations of our clients on every home inspection. This dedication to excellence sets us apart from other home inspection companies. We also offer pre-listing home inspections designed for sellers, and home warranty inspections designed for recently constructed homes that are nearing the end of their warranty period. We carry industry-leading E&O insurance coverage to protect all parties involved in the home inspection process. For real estate professionals, our work is a commitment to the understanding that their reputation is our responsibility and that we are in a partnership to provide the best possible home buying experience for our mutual clients. For the home buyer or seller, our work is an objective and thorough explanation of the condition of the home, and we highly encourage you to attend the home inspection and to ask any questions that you have during and after the inspection process. We are respectful of your property and will leave the home exactly as we found it.